When it comes to Los Angeles DUI cases, men aren’t the only ones who get into major alcohol or drug-related traffic collisions. Recent incidents in Florida and Tennessee reveal the impact DUI accidents can have on female drivers. 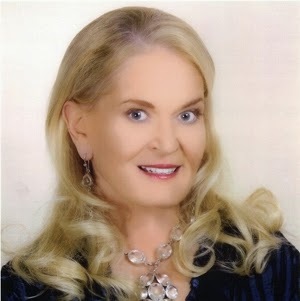 In Nashville, country singer Lynn Anderson faces DUI driving charges for a September 12 car crash. When authorities questioned her regarding her seemingly “impaired” behavior, she admitted to using alcohol and prescription drugs prior to the accident. This was her second DUI incident; the first occurred in 2004. Another DUI accident recently struck Lighthouse Point, Florida on September 14, injuring 55-year-old Kim Smith. Previous DUI offender Michael Anguille struck Smith’s SUV, causing it to flip and collidd with a tree in North Federal Highway’s center median. Anguille is being held in jail awaiting DUI test results. The accident paralyzed Smith, who remains in critical condition. • Lower alcohol tolerance. Men and women metabolize alcohol differently. Especially in women with smaller frames, the negative effects of intoxication can be a greater threat. • Injury. Paralysis and other severe injuries impact the ability to work, care for children, and live independent lives. • Loss of or harm to children. Mothers driving with children in the car can experience devastating consequences, from injuries to deaths. DUI convictions can also cause mothers to lose custody of their children and face the additional possibility of criminal charges related to negligence. If you are a woman who faces DUI driving charges, you are likely deeply concerned about your challenges and worried about the potential outcomes of a conviction. Los Angeles DUI attorney Michael Kraut of the Kraut Law Group can help you understand the challenges you face and work to craft a strong defense. Contact us today to discuss your case.